Stepping out of your comfort zone gets easier with practice. You can guarantee the need to engage in small talk is in your future. It’s an important social skill that can help you make a good impression, boost your career and assist with problem-solving and generating new ideas. For a lucky few, small talk comes naturally. For the rest of us, it is elusive; often characterized by wild brainstorming for suitable topics. 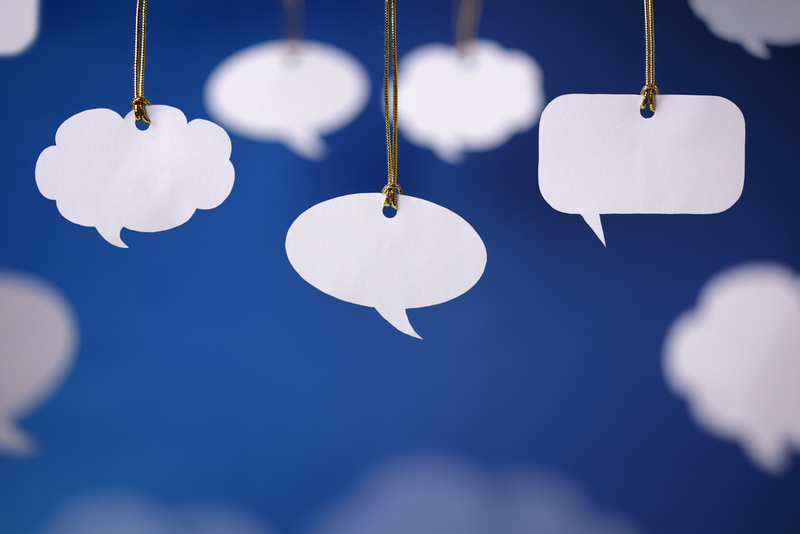 Here are some guidelines to help you become a better conversationalist. Talking about why you came to an event is an easy way to open a conversation. This gives context about you and opens the conversation for the other person to respond similarly. Often this will lead to additional questions. Add a smile and a handshake and you have the beginnings of a beautiful conversation. Take the spotlight off yourself by learning about the person with whom you’re talking. Psychologist Todd Kashden determined being interested in others is more important than you being interesting. Once you get someone talking, be prepared to listen. When you actively listento someone it draws them in and communicates you are interested in what they have to say. Showing a desire to learn about another person makes them feel important and typically results in a positive impression of you. Not sure how to get the ball rolling? Look through these conversation startersfor an idea. Make a list of “go-to” questions so you will be ready to conquer any initial awkwardness. There will come a point in the conversation when you will be asked to share a bit about yourself. If you only ask questions, your interaction will become more of an interrogation and less of a conversation. Respond with details. An example would be, “I’m from New York. Even though I’ve lived there for years, I still really enjoy visiting Central Park. My favorite park, however, is Riverside.”Providing a multi-level response leaves an opportunity for the conversation to continue. Sometimes ending a conversation can feel as challenging as beginning one. How do you move on when the conversation has run its course? Simply say, “It’s been a pleasure to meet you. I hope the next time you visit New York you have time to enjoy Riverside Park.” Excuse yourself to do something else and move on. Try to relax and know that small talk is a skill you can develop through practice. Smiling and being genuinely interested in what others have to say will make you one of the most interesting people in the room. The next time you attend an event, take the initiative and strike up a conversation with confidence!